Last summer Hollywood learned a costly lesson about the dangers of investing in unwanted blockbuster sequels. With massively-hyped follow-ups like Alice through the Looking Glass, Teenage Mutant Ninja Turtles: Out of the Shadows and Independence Day: Resurgence imploding at the box office it became painfully evident that in an era of constant franchising there’s nothing special about returning to the familiar anymore. Especially if the predecessor wasn’t loved. That lesson continues this season – it typically takes studios two-to-three years to course correct – with the release of fifth (!) and sixth (!!) entries in the once mighty Pirates of the Caribbean and Alien series. And in both cases these sequels come with the burden of having to erase the sting of disappointing previous instalments (2011’s nigh unwatchable On Stranger Tides and 2012’s muddled Prometheus, respectively) by attempting to rekindle the creative fire that sparked their beloved original launches. Although neither totally reinvigorates their brand, or offers an abundance of new or innovative ideas, one film nonetheless comes pretty darn close, while the other flounders. 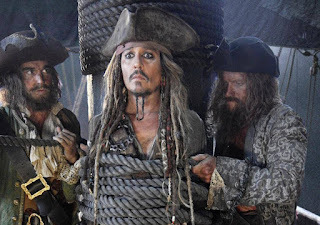 When we last left Jack Sparrow (Johnny Depp), at the end of On Stranger Tides, he had defeated the nefarious Blackbeard, lost the Black Pearl to a shrinking spell and pretty much totally bored audiences into submission. Thus, many of that film’s hanging plot threads – such as Penelope Cruz – were jettisoned in favor of this loose reboot, Dead Men Tell No Tales, which introduces Henry Turner (bland Brenton Thwaites), teenage son of Pirates power players Will (Orlando Bloom) and Elizabeth (Keira Knightley), and sends him on a quest to free his cursed pop from Davy Jones’ curse (see movie #3). 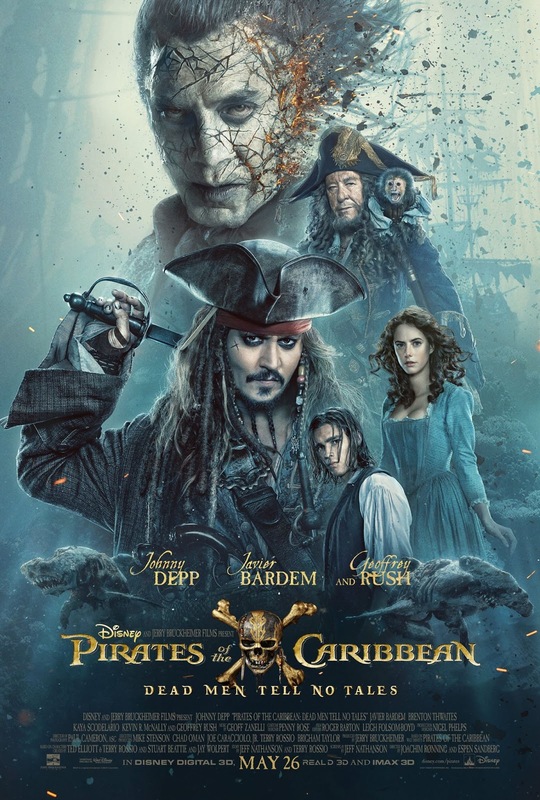 This fateful mission draws in Jack, a now prosperous Barbosa (Geoffrey Rush) and Carina (bright spot Kaya Scodelario), a rebellious young woman of science who holds a cryptic map to Neptune’s trident, which could forever end evil magic on the high seas. Of course, in order to capture the mystical weapon, they have to contend with Javier Bardem’s ghostly Captain Salazar, an ooze-drooling fiend with a fiery hate-on for our iconic lead character. Though it’s a dubious accomplishment, Dead Man Tell No Tales is a marked improvement over On Stranger Tides, which – bafflingly massive international business aside – left the franchise beached and lifeless like the Kraken in At World’s End. Piloted by Norwegian directors Joachim Rønning and Espen Sandberg, who showed great promise in their debut, 2012’s Oscar-nominated real life adventure tale Kon-Tiki, this Pirates again emphasizes colorful showpieces (such as a great guillotine sequence and a zombie shark attack) and character banter over plot. Working from Jeff Nathanson’s screenplay, the duo is unable, like Gore Verbinski and Rob Marshall before them, to wrangle the absurdly over-complicated mythology into a coherent yarn. With two major McGuffins (the trident and Jack’s magical compass), and one minor (Carina’s map) in constant play, there’s no compelling focus, and pointless additions like Golshifteh Farahani’s exposition witch – who really should have been reconfigured into a major character – only muddies the already murky narrative waters. Alas, it's also relentlessly obvious we’re essentially watching the fourth remake of Curse of the Black Pearl. All the elements are the same, including a stuffy British Naval adversary (David Wenham) and subplot involving parentage, albeit with a little more jazziness and vigor than last time. It’s a bit head-scratching, frankly, why the rinse-and-repeat formula has been so rigorously embraced. If ever there was a potential heir to the Indiana Jones episodic adventure throne, Pirates should have been it. But now? The whole enterprise feels soggy, from Depp’s one-joke protagonist – who lacks the necessary dimension that fellow character-actor-in-quirky-superstar-mode Tony Stark has in spades – to the recycled character types (Bardem at least deserves credit for a suitably loathsome bad guy turn, cartoonish motivation be damned!) and needlessly complex over-reliance on random incident over disciplined storytelling. Dead Men Tell No Tales isn’t offensive or painful by any stretch; it just shows total ambivalence towards setting sail for newfangled creative horizons the way the first chapter did back in 2003. Yargh. Hey! Speaking of ridiculously convoluted mythology, remember Prometheus? The weirdly confused prequel that almost instantly killed all interest in Ridley Scott’s return to the universe he (chest) birthed in 1979? Well, the acclaimed helmer is back with Alien: Covenant, an intentionally scaled down xenomorph-happy follow-up that doesn’t reach the heights of the original, or James Cameron’s unstoppable Aliens, yet surprisingly flourishes under the weight of low expectations and financial constraints. Transpiring a handful of years after the gruesome loss of the Prometheus vessel, Scott’s third series entry opens with the crew of the colony ship Covenant experiencing a tragic loss during a long expedition to their prospective home. Upon discovering an alternative planet that appears to support life, acting captain Oram (Billy Crudup) orders an investigation of the world’s resources and environmental conditions. As so typically goes, though, the unit’s exploratory trek is abruptly interrupted by an infectious agent that proves a mite deadly. Before long chaos reigns and it's clear the vast majority of the unlucky visitors, including second-in-command Daniels (Katherine Waterston), pilot Tennessee (Danny McBride) and android assistant Walter (Michael Fassbender, far and away the movie’s MVP), will have truncated lifespans. When it seems the situation couldn’t get any stranger, out the darkness emerges David (Fassbender 2.0), the abandoned AI last seen one movie ago as a decapitated head, with dark secrets to divulge. 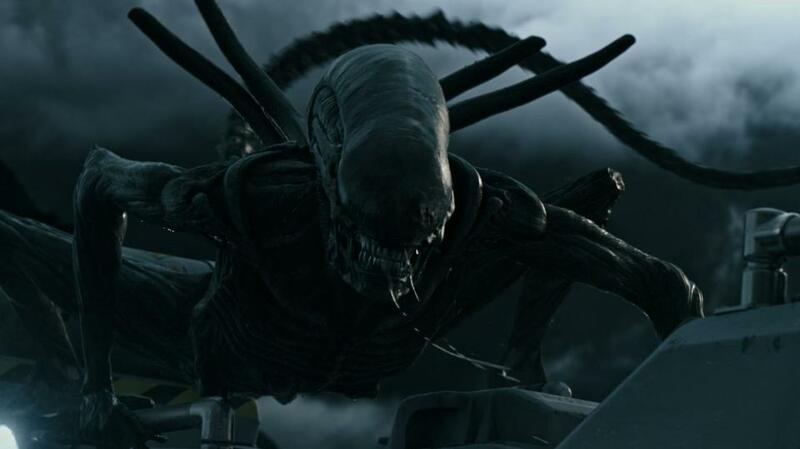 While visibly a product of artistic backpedaling, intended to better service the wants of fans, there’s a tightness, simplicity and tension to Alien: Covenant that genuinely works. 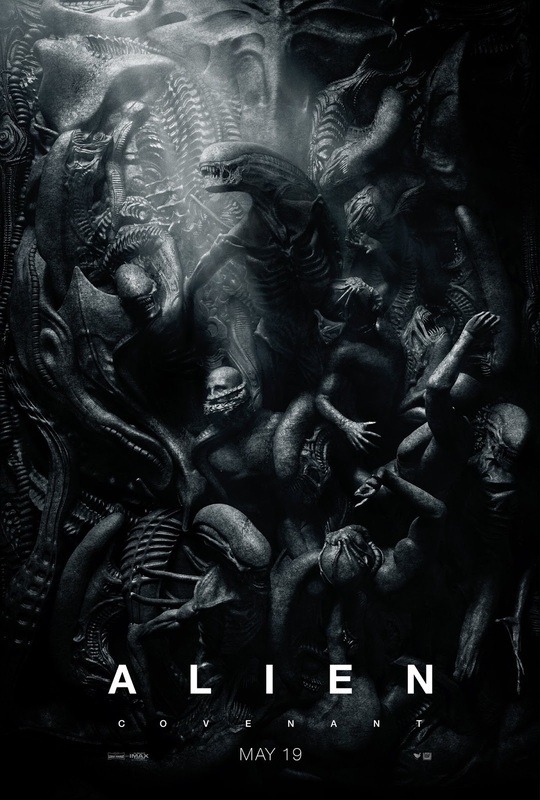 It’s undeniably less ambitious than Prometheus, but it’s also more engaging, answering its predecessor’s complex questions with greater interest than one would have ever hoped. Curiously, in fact, it is this further world building, and revelations involving David and Walter, that prove infinitely more rewarding – it is very odd the director isn’t overseeing the second Blade Runner given his obsession with AI here - than the usual H.R. Geiger creature stuff, which Scott seems only half-heartedly interested in. Despite introducing new breeds of nightmare fodder, there’s not a whole lot of variety in their modus operandi, and the director struggles to find memorable ways to stage their bloody attacks, outside of a truly gripping extended sequence in a medical bay. Whether this experiment has been worth the investment still remains up for debate, if slightly less now. 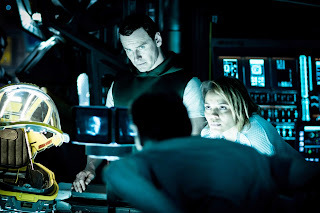 The film, like Prometheus, also stubbornly refuses to establish a sufficient bridge to Alien, however, due to the brilliantly twisted collaboration between Scott and Fassbender, and frequent bursts of sinister imagination peppered throughout, it’s hard to feel ripped off. Covenant succeeds in fueling the appetite for more, should Scott be allowed to once again release his terrifying xenomorphic children into the shadows.